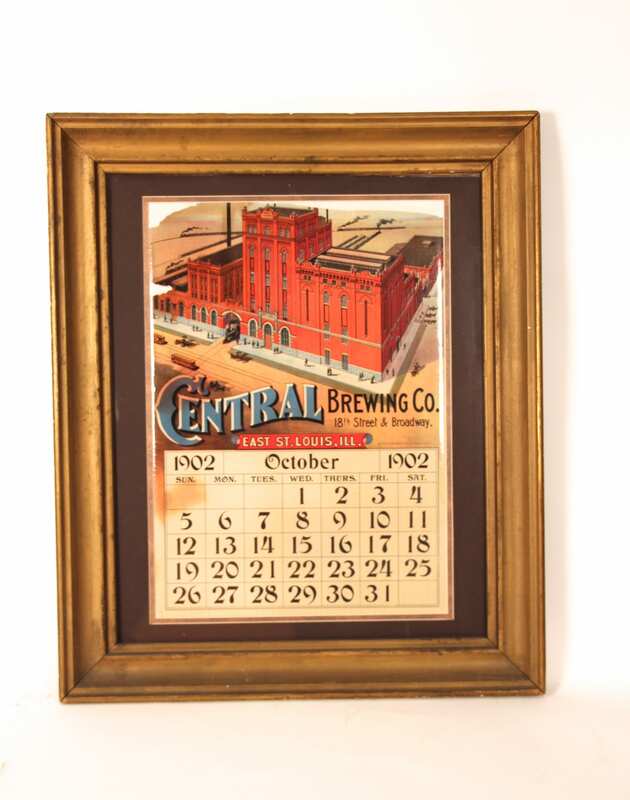 1903 Advertising lithographic calendar from the Central Brewing Company in East Saint Louis, Illinois. 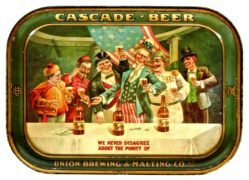 This month’s calendar came from a set of 12 months each with their own version of the brewery on the respective monthly page. 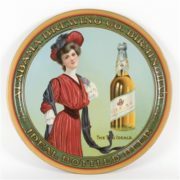 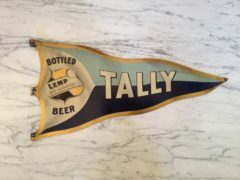 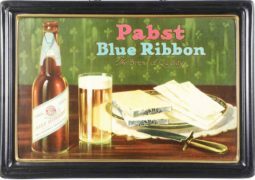 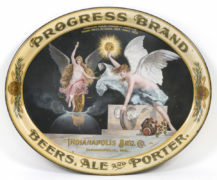 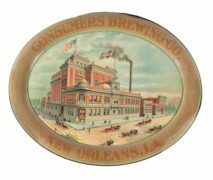 The Central Brewery was in competition with the Heim Brewing Company in the same town and the Griesedieck Western Brewery and Star Breweries right up the hill in Belleville, IL, both in St. Clair County Illinois during pr- prohibition times. 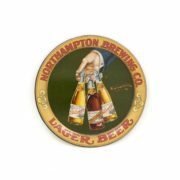 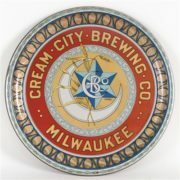 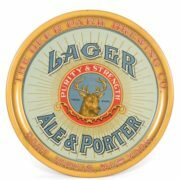 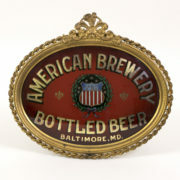 The Central Brewery made Paragon and Victor beer along with their Central Lager and Central Bock brands.